Looks like you had a wonderful trip to the wedding – well, except for the children at the reception. That’s so annoying when it happens, and you’re right that the situation has changed so dramatically since we were youngsters. 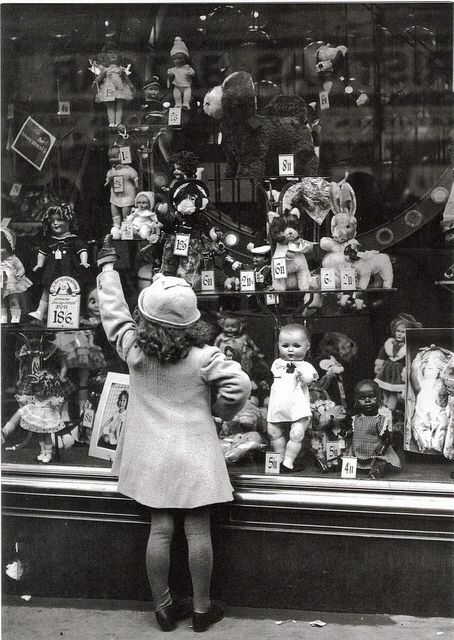 Love the picture of little girl peering in the shop window at the dolls. And I hope you’ll post about the little keepsake that you bought for your mom once it makes its way back to you. we did have a great weekend – and I know these kids a little bit — they’re nice kids. I wasn’t as upset with them as I was with their parents for letting them run a muck. No need for that, in my opinion. How wonderful you could get away this weekend. Sounds like a charming town to visit. Road trip! Sounds like you had a great time together. We’re still reeling from the loss of one of hubby’s coworkers this past weekend. 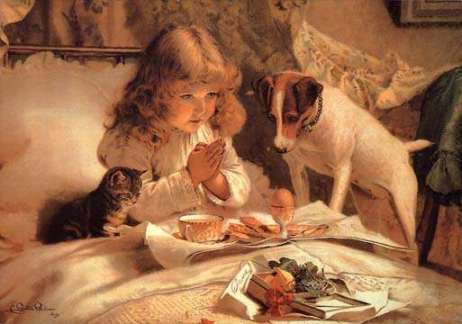 I’ve always like that picture with the little girl praying over her food while the pets are no doubt drooling over it. The food looks wonderful, and that little girl window shopping is adorable. Is that you? sorry for your recent loss, it’s hard no matter when and no matter who. Frankenmuth, what a cool place…Been there a few times. Oh how I love that little painting too! What a wonderful memory. I have a little milk pitcher (creamer) shaped like an elk and the milk comes out of his mouth. It is truly ugly but was always in our china cabinet at home and so I have it now too and I love it. 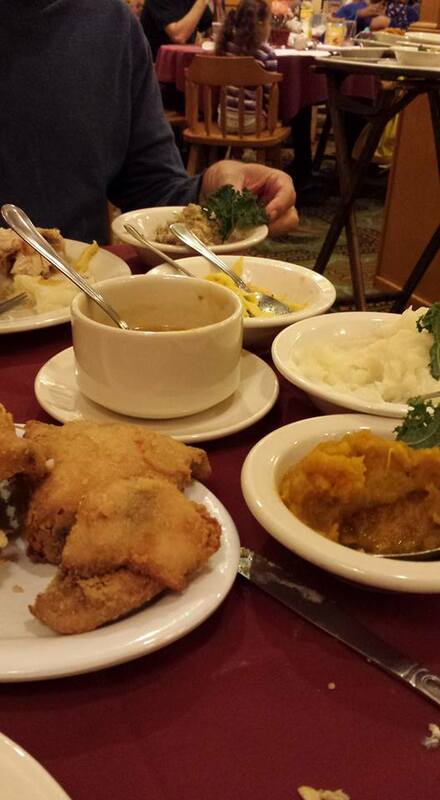 Thanks for sharing this wonderful post MJ! Oh, that food looks delish! But I understand what you mean about the rowdy kids. Frustrating. I remember shopping in little mom & pop stores too. Great memories. I’ve never been a fan of malls, and particularly not during the holidays. Weirdly, I’m already starting to feel the holiday spirit, (this is early for me,) and I’m not complaining. 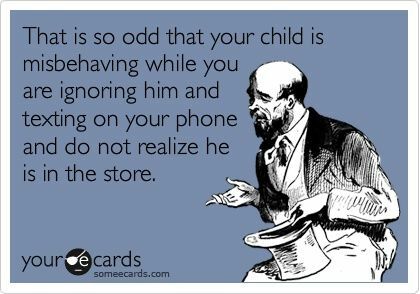 I love kids, but I love well-behaved kids even more! !